David Perry & Associates Do you think more people are caring about what’s in their jewelry and where it comes from? Ben Smithee Yes. Transparency is becoming increasingly important in the minds and actions of the consumer. The web and social have given consumers the power to know more about brands than ever before. Not only will consumers continue to demand more transparent pricing, but ultimately sourcing, sustainability practices, environmental, cultural, and ethical standards, as well. As an industry that has remained fairly confusing for consumers, we will see this shift happen over the next 2-3 years in grand fashion. DPA Do you think consumers will ever become as familiar with terms like free trade, sustainable and conflict-free as related to jewelry purchases as they are to terms like Non GMO and organic when shopping for food. And demand it? BS Yes. Once you take the genie out of the bottle you can’t put it back inside. Consumers are smart and seeking more info. They will not separate a purchase of a car from bread, clothing, or jewelry—with regard to expectations of business practices and standards. This will not be everyone—just like it is not a ubiquitous consumption of organic food. But, it will be an increasing majority. DPA Right now, many brands and designers make general claims that the materials used in their jewelry is ethically sourced, but do you think more luxury jewelers will follow the lead of Tiffany’s new Diamond Source Initiative and become much more specific? For example, Tiffany will now share the provenance of newly sourced diamonds by etching a serial number into the stone. BS I think the technology that empowers this type of provenance and tracking will become more available and accessible over the next 2 years. Therefore, we will see the bigger brands adopt this mechanism and mindset sooner with smaller brands needing to follow-suit over the next three to five years. That said, it takes a great deal of time, process, and money to implement this type of transparency and trackability, even on a small scale. So, businesses need to be planning. DPA Do you think lab grown diamonds is another trend that will affect the jewelry industry? BS It already is. Lab grown diamonds have been around for a long time. As we see them becoming more and more prevalent in jewelry making, consumers will adapt to and adopt these stones as acceptable and many as desirable. Lab grown diamonds will carve out their place in the market, and natural diamonds will still remain, as well. With the increase in transparency in natural and the novelty and story behind lab grown, there will be more options in the market. Brands and retailers simply have to understand how to better position each for the consumer. 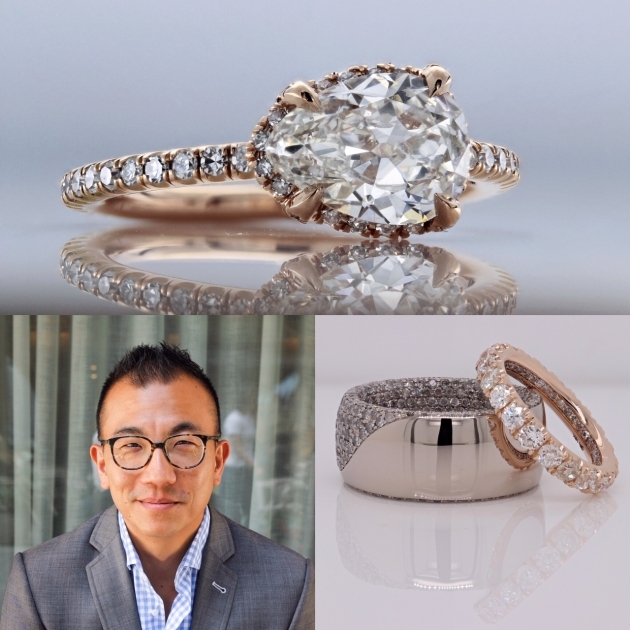 DPA Do you think more luxury jewelers will offer lab grown diamonds? From what I understand, their prices can be comparable to naturally mined stones. So how might the consumer benefit from investing in a lab grown stone? BS I do see more luxury retailers offering lab grown in the future. As soon as people realize there is a market for lab grown, they will make room for both players—if they want to be relevant to the consumers of today and tomorrow. Some will choose to only go lab, and others will remain only in the natural space, and that is totally fine and both can make money. That said, I do think there is room for both, and prices will be an interesting factor, along with narrative, meaning and provenance. I believe lab grown will definitely net out at a lower price point than natural. DPA Do you see any other trends affecting the future of jewelry retail? BS You have to look at where consumers spend their time, give their attention, find entertainment, dream, and shop–and the answer is their phone. So, if you are a brand today, you MUST invest in being relevant there. There will continue to be plenty of room for physical retail, but you will see significant store closures from brands that did not build relevant spaces online. DPA You were recently married. Congratulations. What was the engagement ring-buying experience like for you? BS Thank you so much! For me, I had the benefit of being very knowledgeable and connected in the industry. But, even at that my friend, the designer David Alan gave me even more insight on how to bring my vision to life both effectively and economically. I got some Pinterest ideas from my wife’s sister, and constructed what I knew Nicole would love from there. Then, I trusted David to make it even better. It was truly collaborative. DPA Can you tell us what the ring is like? BS It’s an antique old-mine pear shaped diamond, shown above. It is set east-west in rose gold, and the halo is angled out and tucked up underneath the center stone rather than around it. It also features old mine cut diamonds around the band, and the ring is brilliant in all lighting. For her wedding band (also shown above with Ben’s) we went with a single-cut eternity band and put a single row of gray diamonds along the inside of the ring. For my ring I chose grey gold (palladium and white gold mix) with over 465 gray diamonds pave set on the inside of the band, with two waves of pavé set diamonds that fold around to the outside. DPA Any advice for other wedding jewelry shoppers that can make their experience as happy as yours? BS Education is the cornerstone–it is what will create a totally different experience for consumers. Because I was educated and had the ability to get my vision translated into a really phenomenal execution, Nicole and I got amazing rings we love, at fair prices, and lifetime value. Retailers and manufacturers need to be giving away so much education online and in-person to draw new customers to their brands and to their stores.